Gilmore Girls was famously known for being a “dramedy”, which often put it in a weird limbo. Too light to be considered serious drama, not ‘ha ha’ enough to be a true comedy. This revival, however, felt more dramatic than I remember the show being. Perhaps it was a combination of nostalgia, expectations and the passing of Edward Herman, but I found myself on the verge of tears on one too many scenes. 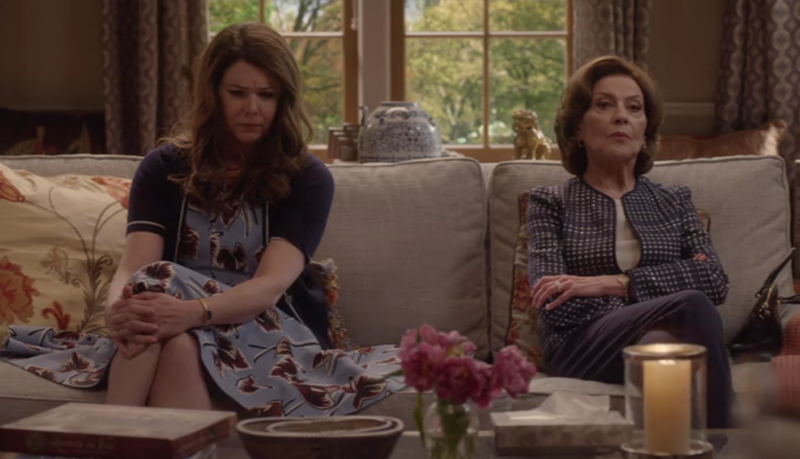 The emotional high point for me was Lorelai’s phone-call to her mother after finally coming up with a fond memory of her late father. In a way, we finally see Lorelai let go of the resentment she felt for her parents and getting a new perspective on her life and what is important. As a result she goes back to Luke - finally popping the question - and decides to support Rory’s plan to write a book about their life - even if it means exposing a part of her life she wanted to keep hidden. 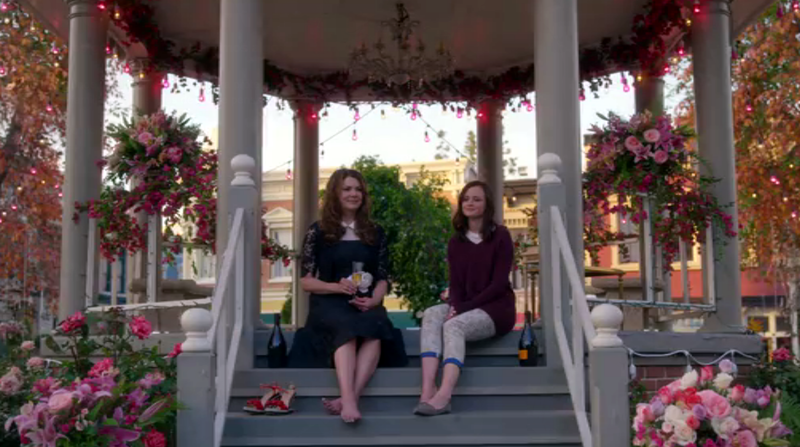 Above all, I think the revival gave closure to Lorelai’s story. She lived, she survived, she prospered and now she can be happy. Anybody that watched the show way back when knows that there was one very important question: “Who should Rory end up with, Jess, Dean or Logan?” There were good arguments to be made for each of them. It’s no secret I always preferred Jess, but I also liked the idea of Rory remaining single… which is more or less what happened. But all three boyfriends made an appearance, nonetheless. I particularly liked the scene with Dean [bit shocking, I know] because he is the boyfriend we most often dismiss. However, what Rory tells him is exactly right. He was, for a time, perfect. Not the guy she was meant to be, but he was an important part of her story. As for Logan, they definitely work on some level but he represents everything her mother fought so hard to escape, so I would have been disappointed if she ended up with him. Let’s face it, Logan is Christopher 2.0. But Logan also brought out something in Rory, a side of her that enjoyed life and didn’t take things so seriously. Finally, can I just point out that even though Jess was there for like two seconds, he was the one who gave Rory the exact advice she needed to get her life on track again? Plus there was that scene where he lingered in the porsche, pretty much stating he is still in love with Rory. I’m going to take that and be convinced that eventually he would end up with Rory. Hey… He is to Rory what Luke is to Lorelai, plus we know Logan and Dean are out of the running [I think]… So Jess does seem the most likely. Right? 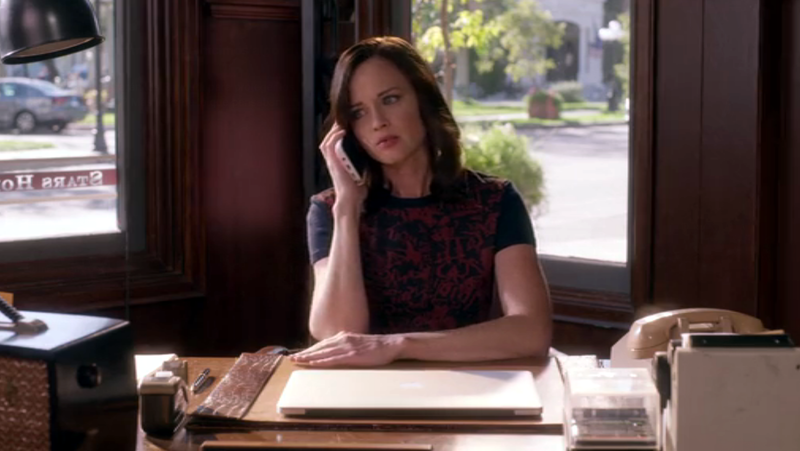 But love life aside, it looks like Rory still has a lot to figure out in her life. Society perpetuates this notion that by the time we hit 30 our lives would be magically sorted out. In reality, that rarely happens, especially for people determined to find fulfillment instead of just having a standard type of life. Wow. Clearly my guess [“Oy with the poodles”] was wrong. And no. I did not see this coming. I have mixed feelings about this! Big time! Those four little words shocked me so much, I had difficulty separating my feelings of the revival as a whole from that very last scene. On one hand, I’m disappointed that Rory is most likely going to become a single mother, repeating Lorelai’s history. She was supposed to do more, do better. But in a way… she has. She is 32, not 16 and she has seen the world, gone to an Ivy League school and experienced all sorts of things her mother did not. Still… I don’t think she was done learning and experiencing, so it is sad to see her in that situation. On the other hand, it feels very fitting. The perfect way to bookend the story. And if you think about it, even though no-one is saying teenage pregnancy is a good thing, Rory was the best thing to happen to Lorelai. She might have missed out on a lot of things, perhaps not reached her full potential in some areas, but she was destined to be Rory’s mom. In this context, having another Gilmore girl might just be what gives meaning to Rory’s life. And then, there are the many other possibilities. Perhaps Rory will have a boy [the horror! Gilmore Boys?]. Perhaps Rory visited Paris’s clinic and got pregnant on purpose. Perhaps the dad [most likely Logan, but we don’t really know] will actually be in the picture this time. Will we ever find out?! The way the revival ended wraps it up on Amy Sherman Palladino’s terms, so I wouldn’t be surprised if this was it for our beloved duo. But I can only hope it is not the end. I, for one, would love to see the next chapter of this story. I'm really happy Emily is finding herself in Nantucket. “Stars Hollow: The Musical” starring Sutton Foster needs to go to Broadway like now! I would have loved Vincent Kartheisher to have a cameo!